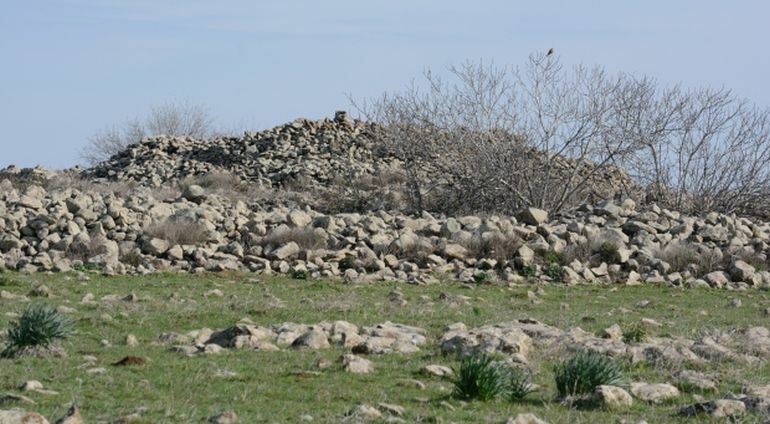 The Middle East is home to a mysterious prehistoric monument that is as almost old as the famed Stonehenge in England. 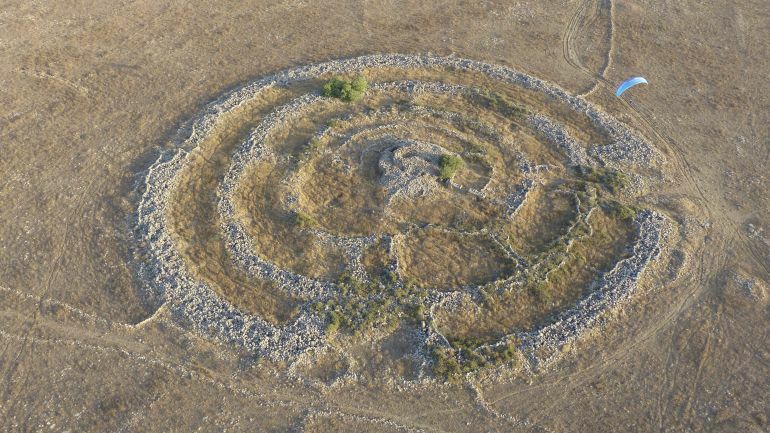 Located in the Golan Heights region, this oddity of a monument, known as Rujm el-Hiri (Arabic for “stone of the wildcat”), features five concentric circles made of heaped stone rubble, with a burial mound situated right at the center. Built nearly 5,000 years ago, the strange structure is also called Gilgal Refaim in Hebrew, which translates into ‘Wheel of Giants’ and refers to the race of Biblical giants. It’s an enigmatic site. We have bits of information, but not the whole picture. Scientists come and are amazed by the site and think up their own theories. All the five big, huge monumental walls around us were all, we think, built for this chamber, the one who was buried inside it. This is one of the theories. 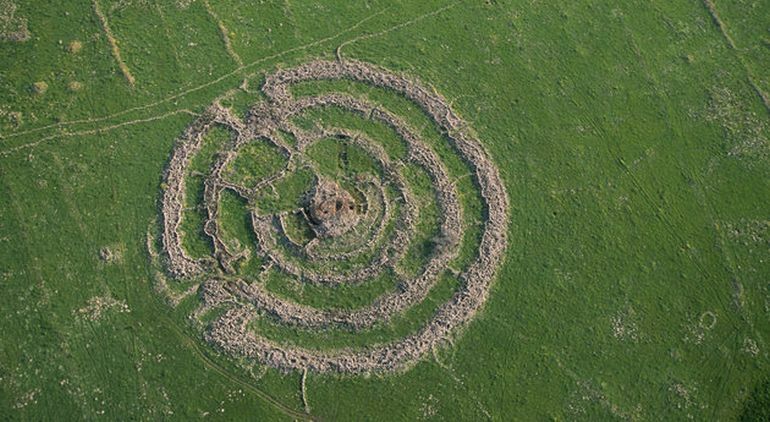 Finally, regarding the purpose of this enigmatic prehistoric structure, some believe that the Rujm el-Hiri was built by a nomadic tribe inhabiting the area, during circa 3500 BC. How such a primitive civilization managed to construct a monument of that scale, however, is something that continues to baffle researchers. 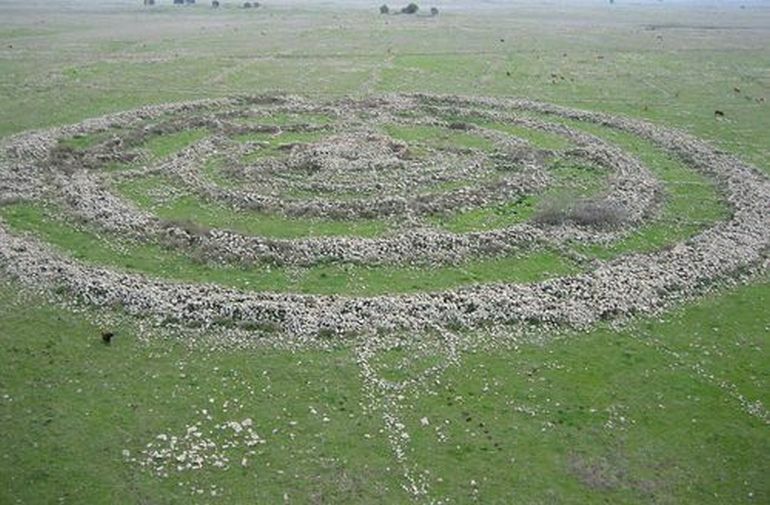 According to a 2010 study published in the Biblical Archaeology Review journal, the Golan circles could have been a ‘calendrical device’ used to estimate the arrival of summer and winter solstices. Yet another group of experts is of the opinion that the tomb was added nearly 2,000 years after the circles were built. Over the years, excavation works at the site have revealed pottery fragments and flint tools, which in turn have aided in determining the date of construction of the monument, corresponding to the Early Bronze Age II period (3000–2700 BC). 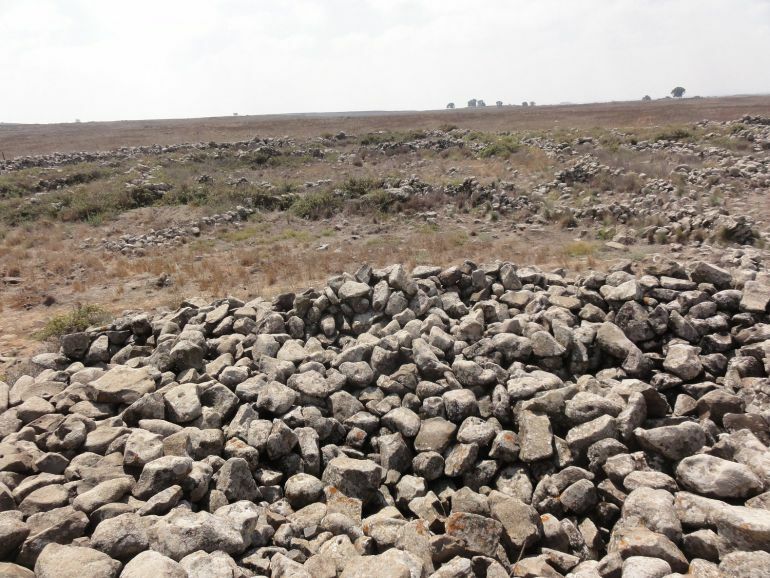 The area currently is part of a complex used by the Israeli military for training purposes, and also falls on the Golan Trail, a marked 130-kilometer walking trail.